Locking your car should be your number one priority. Even if you press the automatic button to lock all the doors, walk around the car and test each door individually. Sometimes a thief may stick a piece of paper into your handle when you were unaware, thus preventing the door from being fully closed or secured when you press the automatic lock. I am not saying s/he walked up to your car as soon as you parked, s/he could have done it at a different location and followed you to where you are. Be vigilant for suspicious activity even while you are driving. Before stepping back into the car, you should walk around again to ensure that there are no obstructions by the handles. While this may be old fashioned, they can still add that extra element of security for your vehicle. These are anti-theft devices and include steering when locks, pedal locks and gear locks. The thief may know how to break in and start the car but s/he would have a hard time unlocking these devices. You don’t need to be paranoid and get all three types, choose the one that you feel more comfortable with or more convenient to purchase. Gear locks are much smaller and less cumbersome than the other two. It locks the gear shifter into place so the thief cannot change the gears without removing the device, similarly, the steering wheel lock secures the steering wheel from turning and the pedal lock secures brakes or gas pedal from engaging. There are several types of alarms on the market and investing in one would help to ward off thieves. Some alarms have sensors that warn anyone if they are in too close a proximity to the vehicle. Should the car get broken into, the alarm would set off a loud warning and those in the surrounding area would be able to hear it. Everyone has a mobile with a camera these days so when this alarm goes off, the fear of attracting others to witness the criminal act may scare the thief away from completing his/her task. Dashcams have been around for a while and can video record anyone in the surrounding proximity of the car. The thief would be more hesitant to steal your vehicle if s/he notices that you have one installed. This is another anti-theft device. It uses a special key to disarm it. Once the car is started without the key, the thief would not get very far because the immobilizer would still be armed and would shut off the engine, usually at a specific distance or as soon as the gas pedal is engaged. The thief may have no choice but to abandon the theft. An automotive locksmith will help you install an immobilizer. 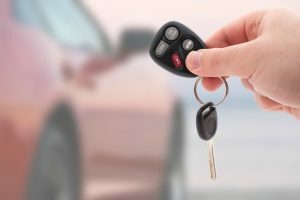 Stop car thieves with these 5 easy tips https://carkeyssanantoniotx.com/stop-car-thieves-with-these-5-easy-tips/ 3.8/5 based upon 28 reviews.